Closing is a very interesting topic for sales and the whole business. 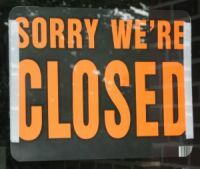 I recently got a call from a Sales Director who said he said he wanted a 1-day closing course for his sales team because they just couldn’t close. As I tried to drill down into the detail, he got quite exasperated, and said “Look my figures back it up – the conversion rate is low, therefore they can’t close.” We agreed that I would do a small pilot which would also act as a sanity check with regard to actually what was happening (although he thought this was a waste of time). So, we finally agreed that the training required was around understanding the customer’s needs, questioning and listening, and developing a proposal that linked the value of their solution directly to the customer’s business issues. I also developed one more idea to channel the great closing energy they had into a more appropriate customer focused sales technique that I will discuss in my next post The Commitment Staircase. This entry was written by John, posted on April 28, 2010 at 10:46 am, filed under Closing and tagged business issues, complex products, proposal, value proposition. Bookmark the permalink. Follow any comments here with the RSS feed for this post. Post a comment or leave a trackback: Trackback URL.